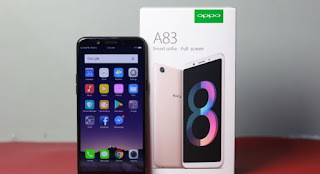 Flashing Oppo A83 CPH1729 use MSM Tool, How To Flash Oppo A83 CPH1729 it we Share-Based On Request Flasher Friends Who Ask Us To Share About How To Flash File Firmware Oppo, How To Flash Oppo It Already Proved By Some Members Of Our Technician and Proven Powerful Overcoming Bootloop Oppo, Forgot Patterns, Hank etc ... Good Jump We Go To The Subject Of The Subject, As The Title This Time Namely: How to Flash Oppo A83 CPH1729 Via MSM Tool. Overcoming Oppo A83 CPH1729 Hank: Hank Is Stop On Certain Pages While In Operation, Almost Similar With Bootloop. Forget Pattern: Oppo Forget Pattern Or Password, Users Users Using Pattern Or Password For Security Of The File That Is Being In The Device, But Forgot With The Patterns That Made, So Can Not Open Her Favorite Mobile Phone. Overcoming the Emergence of Unfortunate Has Stoped Applications etc. Next Open MSM Download Tool, Which Is Inside Folder Result Extract and Already You So One Folder With Oppo Firmware. To Make It Easy We Include Videos How To Flashing Using MSM. Thus Is How To Flash Oppo / How To Reinstall Oppo Via MSM Tool Hopefully Useful, If You Have Obstacles Or There Is A Few Questions Please Ask Us Through The Comment Column, Or Can Be Directly Via Contact Form. 0 Response to "Oppo A83 CPH1729 Flash Use MSM Download Tool Crack"